In accordance with its duty under Section 2(3) of the Health and Safety at Work etc. 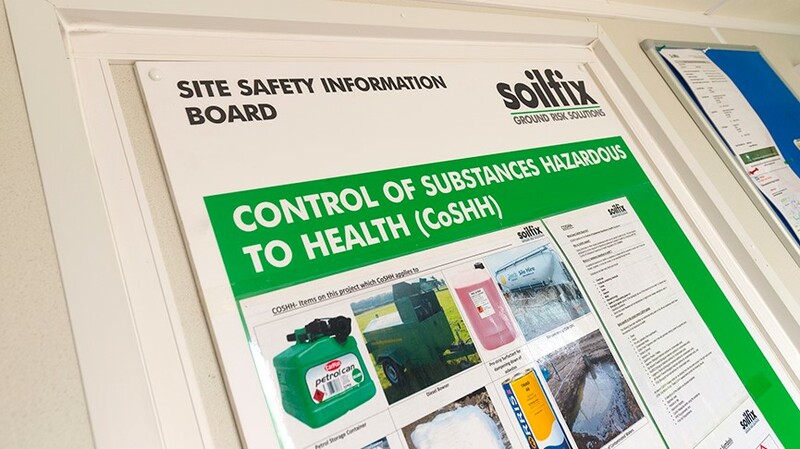 Act, 1974, and in fulfilling its obligations to both employees and the public who may be affected by its activities, the Board of Directors of Soilfix has produced the following statement of policy in respect of health and safety. It is our aim to achieve a working environment which is free of work related accidents and ill- health and to this end we will pursue continuing improvements from year to year. Soilfix has implemented a Business Management System to which this document remains a part of and which satisfies the requirements of the BS OHSAS 18001 : 2007. This statement is to be read in conjunction with the responsibilities, arrangements, procedures and guidance that together form the Soilfix Business Management System.